To take advantage of this offer, simply complete the form below. You'd Be Amazed... 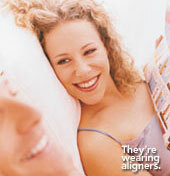 The Aligners are made through a combination of your doctor's expertise and 3-D computer imaging technology. Friday No general office hours. Fridays are smile makeover days!